As students, there are some (maybe many) things that we know we should be doing, but we don’t do them, such as eating more vegetables, sleeping 8 hours a day, not procrastinating – you get the point. One of these things is exercising. Many of us have it at least at the back of our minds that exercise is good and we should try to fit it in somewhere in our schedule. These thoughts are good, because they mean you are aware of the benefits of regular exercise, which include improved energy levels, improved cognitive skills, and even improved mental health. However, the amount of times these thoughts materialize into a trip to the gym may be too infrequent. 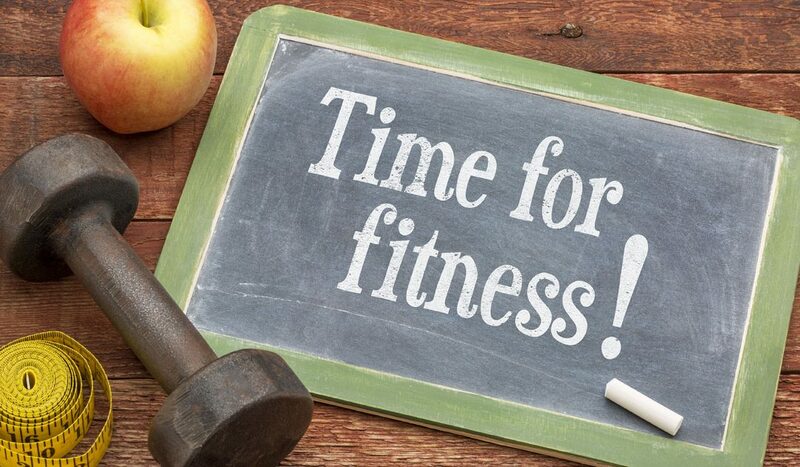 Here are 5 tips to help you make and then keep exercise a regular habit. Setting goals, ideally ones that are specific, measurable, and realistic, is important, because it provides you with a clear target to aim for. Furthermore, setting fitness related goals has been shown to improve performance. Important to note, however, is that you should monitor your progress step-by-step, instead of looking at things from a binary perspective (goal achieved versus not achieved). When it comes to time management, we know how important it is to make a plan. Include exercise as part of your plan. When you think about it, why should exercise be treated any differently? Plan it like you would with other tasks, and you may be surprised at how smoothly you can fit it into your schedule. You will help each other stay motivated. A partner will help encourage you, which will hopefully improve consistency for both of you. You will enjoy your workouts more, and when you enjoy your exercise, you are more likely to stick to it. You will try harder – studies have shown that working out with a partner will increase the intensity of your exercise. A little friendly competition is always good. You can hold each other accountable. It is easy to cancel plans to the gym on your own, but no one wants to cancel others’ plans too. Similarly, if one of you begins to fall off track, a friendly partner can help bring you back on track. For some people, going to the gym can be the main hurdle for getting exercise. It can be helpful then to include exercise as part of your normal day-to-day routine. For example, take the stairs instead of the elevator whenever you can, walk or bike (especially with the good weather rolling in) to class or work instead of busing or driving, take exercise study breaks to do some cardio (i.e., jumping jacks) and maybe some bodyweight exercises (i.e., pushups), and if you are watching TV (instead of at the gym), then whenever an ad comes on, do some exercise. For some people, social environments are motivating. Signing up for a fitness class can provide you with an exciting atmosphere, and a group of people who may share similar interests and goals. Furthermore, classes add structure to your schedule, because you don’t have to do the planning – just show up. Look at what classes your school or local gym offers; you may find something that interests you. Now, try these 5 tips to make exercise a regular habit in your life.